I am so excited to share with you the *NEWEST* and most adorable new line of collectible toys by JAKKS. These sweet little dolls are called Gift ‘ems™. They come in little boxes - that look like presents - you open up to reveal the country, town and flag of your doll's location. 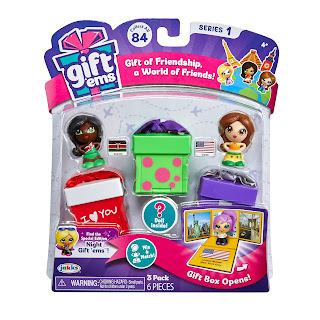 Gift ‘ems™ is the only collectible mini doll line that features a universally known gift box to delight and surprise girls with a friend from different cities around the world, there are 84 to collect! 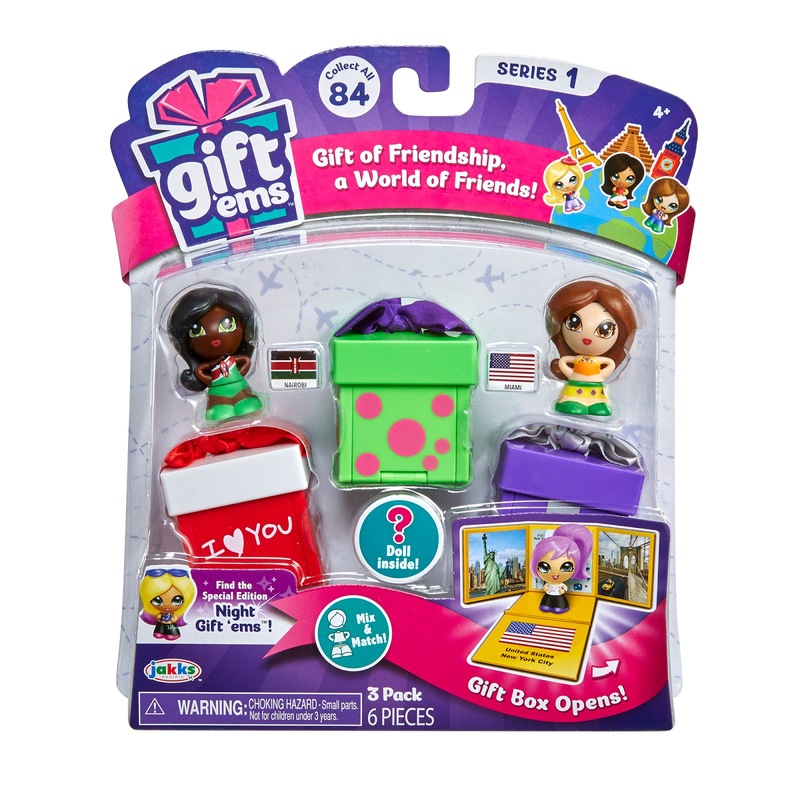 Each Gift ‘ems™ box will open to reveal the doll’s name, city and country, and transforms to showcase iconic scenes from the doll’s home town, as well as an image of the country flag. Each Gift ‘ems™ doll is marked on a rarity scale as common, rare, ultra rare, special edition and limited edition and has four main components that girls can pop and swap to mix and match thousands of fashion fusions and make their own unique Gift ‘ems™ doll for endless fun. All 84 Gift ‘ems™ mini dolls available at launch in August 2016, girls will love collecting them all. The Gift of Friendship, a World of Friends! Here is a special little unboxing video! 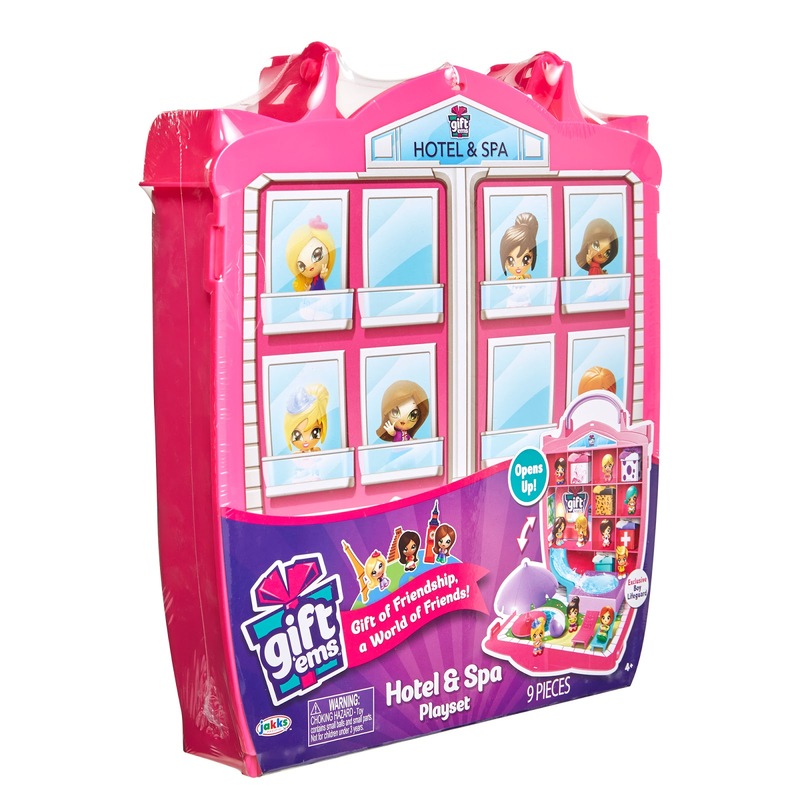 Girls can have fun and relax in the new Gift ‘ems™ Hotel & Spa, while splashing around with an exclusive lifeguard boy Gift ‘ems™. The Hotel & Spa closes for storage, and can hold 8 Gift ‘ems™ gift boxes. 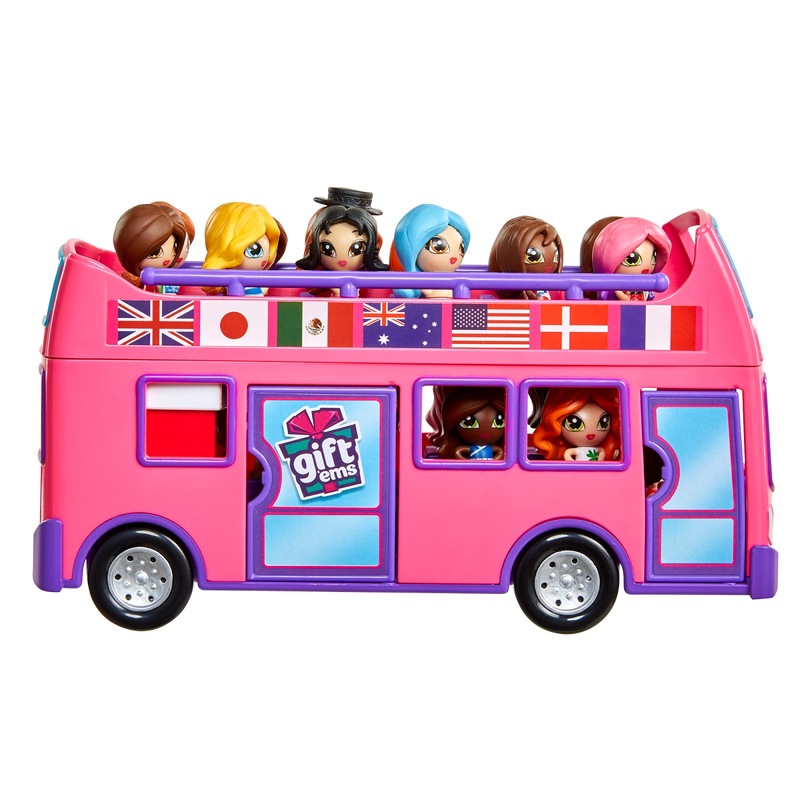 Girls can take their Gift ‘ems™ dolls on a wonderful tour around their world with the help of an exclusive boy Gift ‘ems™ tour guide. The Double Decker Tour Bus can seat up to 20 Gift ‘ems™ dolls. My boys were all over these dolls checking them out. While they are - boys- they thought they were cute and liked the idea of being surprised by what you received in each box. As collectors they also enjoyed the idea of finding rare or limited edition dolls. These are really super cute! Gift Ems' will be available at your local retailers in August 2016!! Hi, do you know how many of the limited editions there are? Shopkins always tells you, like the 12th out of 1,000 or 728th out of 5,000, etc.... how many of the limited edition gift 'ems were made? Knowing that tells us the value of the limited editions. Thanks! do you know how many of the linmited editions they made?